2. 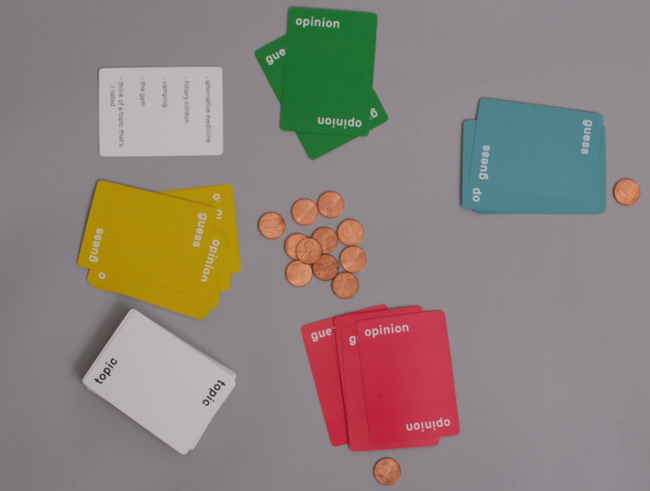 Deal each player a set of opinion and guess cards of a given color. 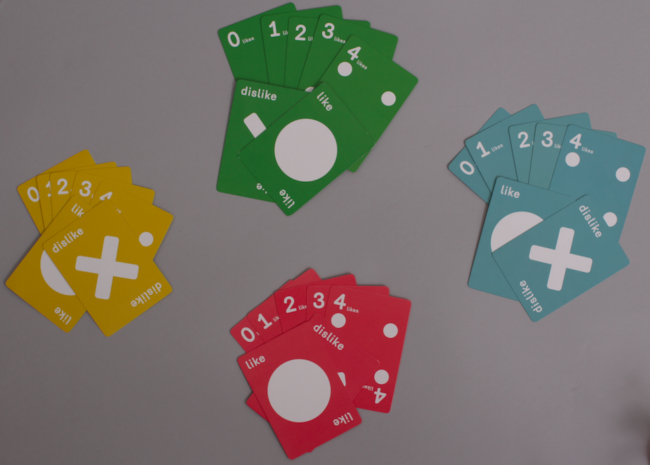 Everyone should have a like card, a dislike card, and a guess card for each number from 0 to 4. 3. Use any kind of counters to keep score. 1. 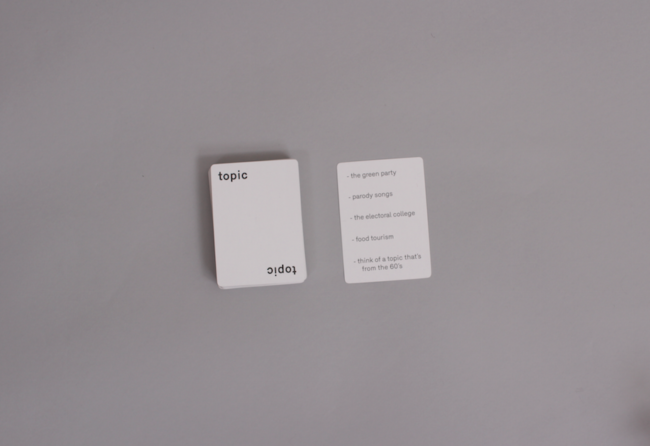 One of the players should take the first topic card from the top of the deck and choose a topic from it for the round. 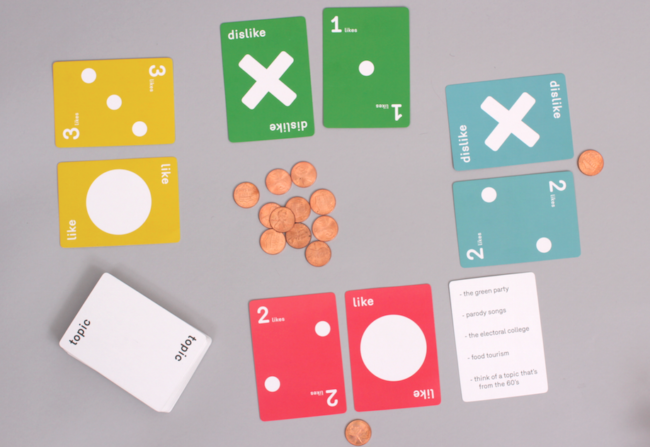 In this game, the first player chooses “parody songs” as the topic. 2. 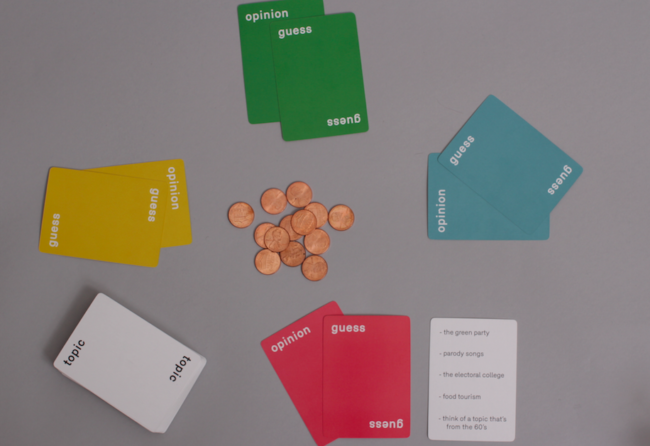 Each player plays one opinion and one guess card, face down. 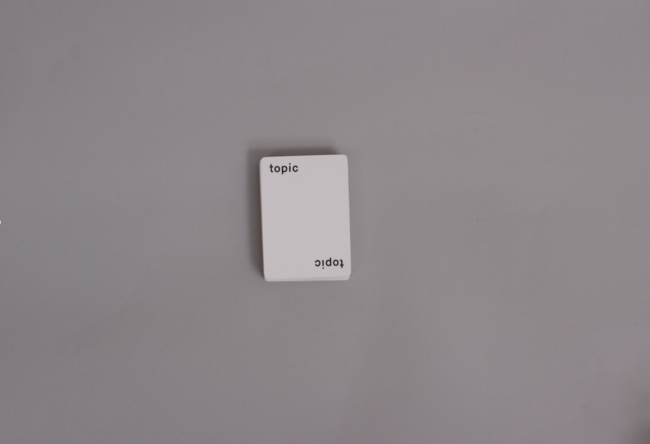 Choose an opinion card based on your feelings about the topic. 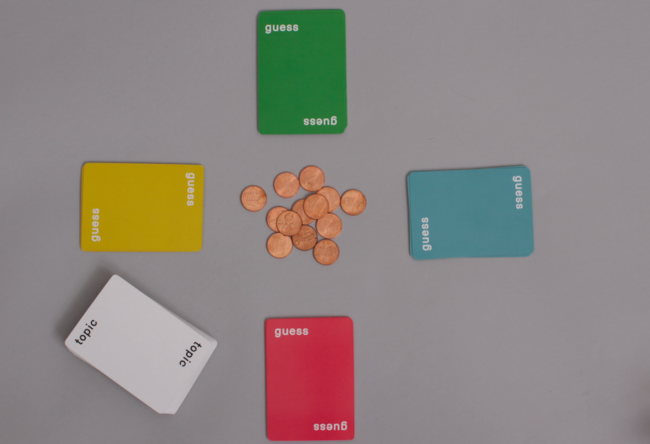 Choose a guess card based on how many total players you think will like the topic. 3. Everyone turns their cards up at the same time. The pink and the yellow player like parody songs, while the green and the blue player dislike them. 4. Count the number of players who liked parody songs. In this round, it’s two: pink and yellow. 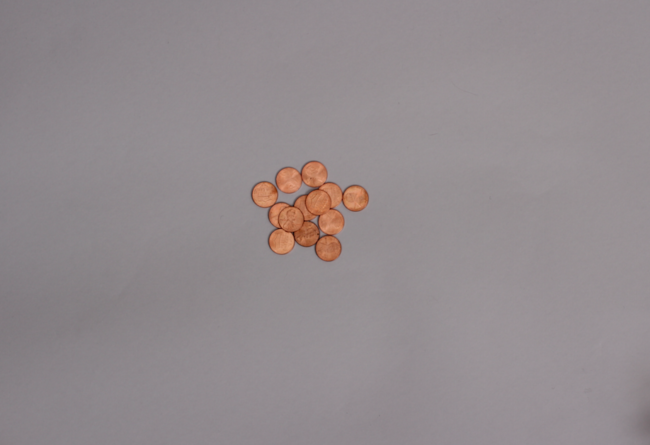 Now, any player who played a guess card of “2” will score a point. Pink and blue each score a point. 5. 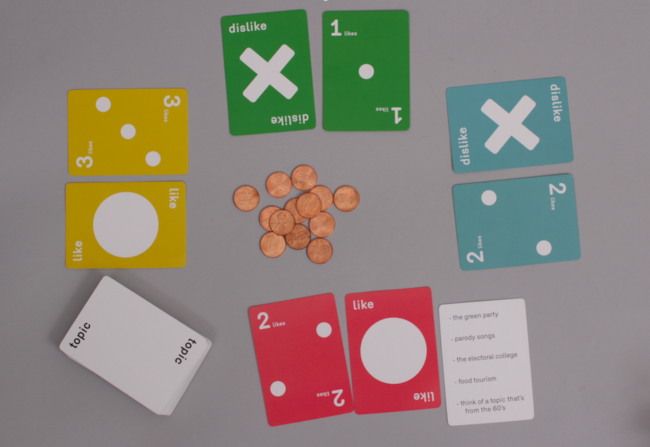 All guess and opinion cards are returned to the players’ hands. 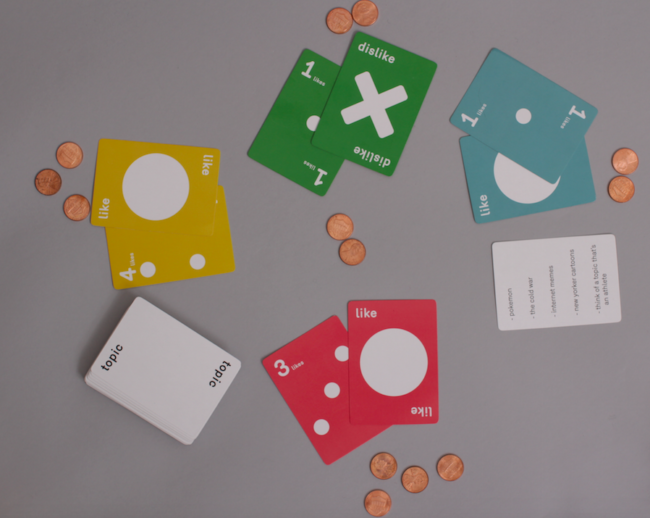 The next player, sitting to the left off the first player, draws a new topic card. 6. Play continues until someone earns four points. In this game, the pink player has won!